The modern flip chart, No paper, No waste, No security issues, No shredding! Your notes securely saved on a USB stick. 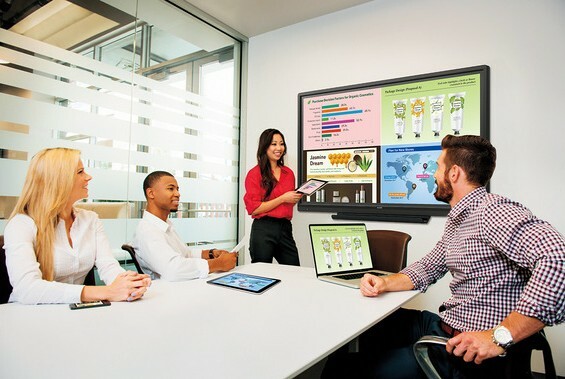 Get your meeting off to a flying start with the Electronic Flip Chart. Create new pages or bring your notes, pictures and illustrations on USB and annotate them using a pen or your finger. 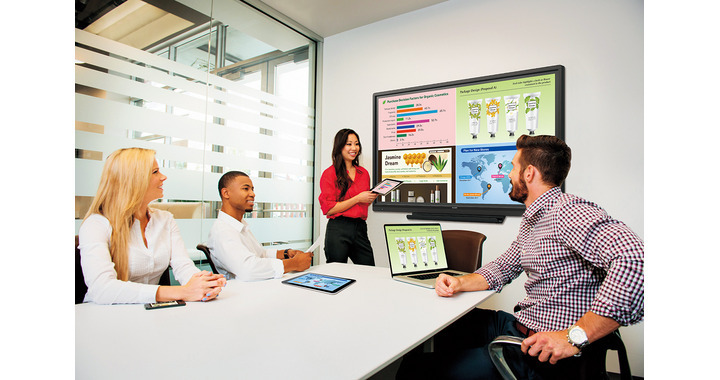 Our intuitive, class leading, Digital Flip Chart display is what every meeting room and huddle space needs. 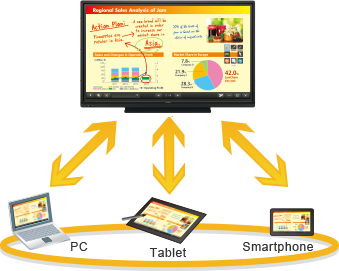 The direct drawing, gives you an “instant-on” smart board functionality without the need for an external PC, and brings teamwork to a new level of Creative, Productive and Decisive effectiveness. You can use the Electronic Flip Chart just the way you would have done with a traditional flip chart. Draw using a pen or the touch, with up to 10 points of touch. Change colour of the pen, erase, load pictures from USB annotate them and save the whole set of sheets back on to the USB. The Digital Flip Chart also has a DICOM Emulation mode that is easy to setup and allows for more accurate display of radiological images in group viewing or as part of a multi-disciplinary team meeting. Combined with the wireless connectivity, any radiologist can easily and accurately view images from their mobile device. This is ideal for training schools, academies and corporates where quick meetings are frequent. Switch your Digital Flip Chart on and starting drawing and illustrating almost straight away. There are no PCs to turn on or batteries to change in the pens. Simply switch on and draw using finger touch or the pen. No dried out pens, no paper to look after, no security issues with shredding pages afterwards and no taking photos to remind you of whats been discussed. Save each Digital Page of your presentation on USB as an image. Easy to use tools including, Red, Blue and Black ‘pens’, Eraser, Load / save pictures to and from USB, add as many Digital Pages as required to get your message across.